This page is dedicated to 3 of the beautiful suburbs along the coast of the Pacific Ocean; Santa Monica, Venice and Malibu.They are all independent cities, but are situated within the borders of LA County. Santa Monica is a very nice suburb there many rich people live. This is 3rd St Promenade, a pedestrian street in the city center. Note the flushing dinosaur. 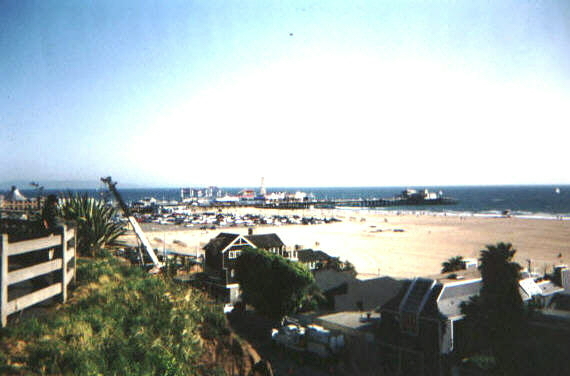 The tivoli at Santa Monica Beach seen from Ocean Avenue, one level above Palisades Beach Road. 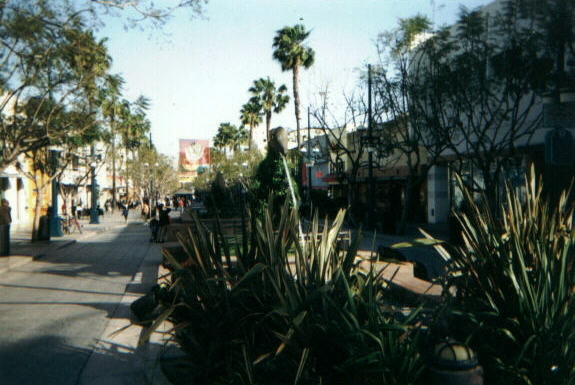 The promenade in this hip suburb where The Doors was founded. 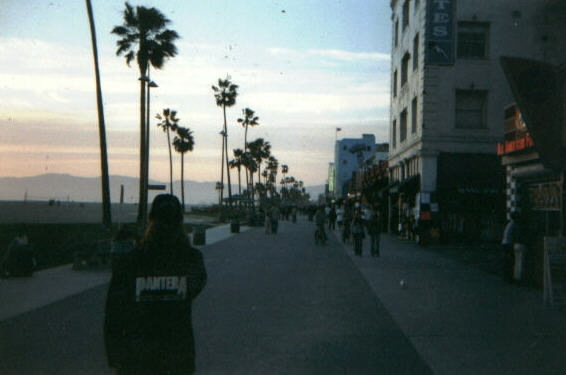 Venice Beach feels very young and have a certain "rock music" feeling. 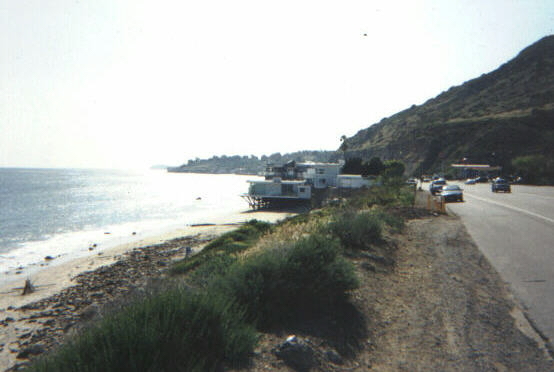 Malibu is just a small, but exclusive village near Malibu Beach. 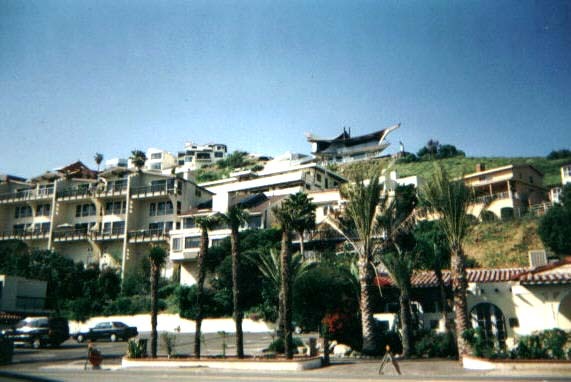 This is the "downtown" Malibu. Malibu Beach, next to the Pacific Ocean. To the right is the famous Highway 1(Pacific Coast Hwy). These surroundings are famous for the TV show "Baywatch". 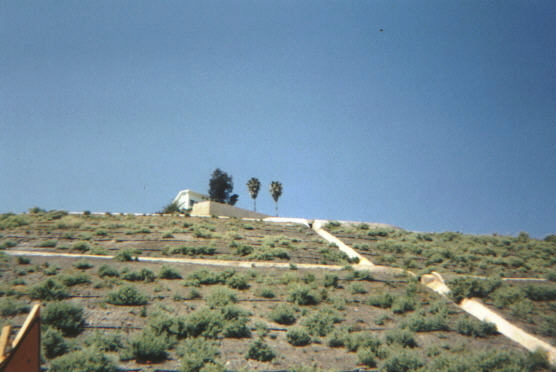 Looking upwards towards a Malibu villa.